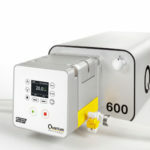 Scott Process Engineers and WMFTG experts will be on hand to demonstrate the industry leading Quantum peristaltic pump with patented ReNu single-use (SU) cartridge technology. See first-hand Flexicon’s FPC60; Flexible, Configurable Fill/Finish System. 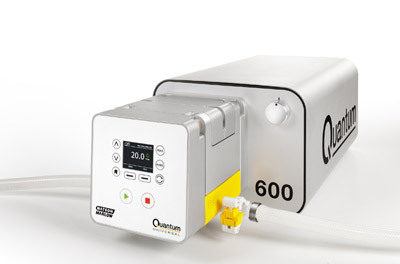 Quantum redefines peristaltic pump performance for single-use downstream bioprocessing. Uniquely flexible, configurable fill/finish system. new level with the Flexicon FPC60. 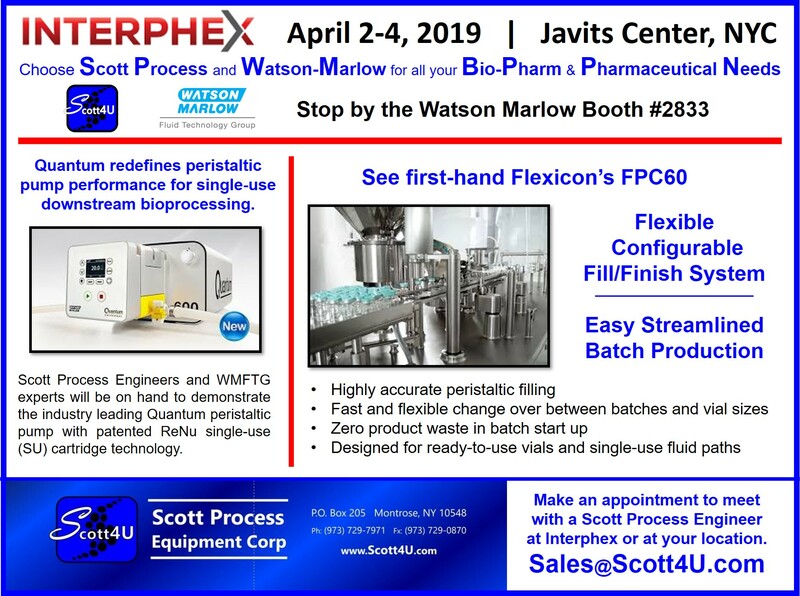 Biotechnology and pharmaceutical fluid-in-motion expert Watson-Marlow Fluid Technology Group (WMFTG), will be showcasing its unparalleled bioprocessing products including the New Flexicon FPC60, highly accurate peristaltic fill/finish system offers customers exceptional production flexibility. A wide variety of modules are available for the system, allowing users to create their own unique filling solution to suit small-batch applications. The modules include vial infeed, filling, stoppering, capping, auto-reject, gas purging and product outfeed. As a result, the FPC60 is ideal for bioprocessing applications. Scott Process Engineers and WMFTG experts will be on hand in Booth #2833 to demonstrate the industry leading Quantum peristaltic pump with patented ReNu single-use (SU) cartridge technology. Wednesday March 20, 2019 3:30 – 6:00 p.m. The most common purpose of agitation in biopharmaceutical processing is liquid/liquid and solid/liquid blend (solutions and suspensions). Agitators are performing their duty while submerged in a fluid phase, and consequently designed for this intended use, considering that running in air would not fit any purpose. This article discusses different bearing designs and materials of construction typically available. View Bematek’s Colloid Mill Live! Bematek’s Colloid Mill Will be featured in the Scott Process Equipment Corp Booth #1581 at the 2018 New York Society of Cosmetic Chemists (NYSCC) Suppliers’ Day on May 15th and 16th at the Javits Convention Center in New York City. Valued as an industry innovator, Bematek brings more than 70 years experience to high-shear colloid mill design. We are inspiring process industry innovation and delivering solutions to meet the increasingly complex manufacturing demands of the cosmetic chemist. The wet milling of formulations is one of the oldest processing activities that still exists today in modern manufacturing environments. The reduction of particles in dispersions and droplets in emulsions is done by applying hydraulic and mechanical shear to various process ingredients. Bematek colloid mills are recognized as the equipment of choice for increasing the stability of dispersions and emulsions in today’s complex homogenizing processes. 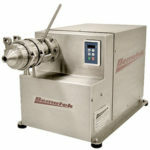 The Bematek Colloid Mill is a conical rotor/stator mill for processing colloidal dispersions, emulsions and suspensions, and works on the principals of shear rate residence time. These parameters make scale-up from R&D to full production simple and reliable. 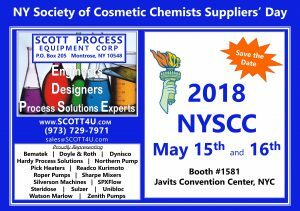 Montrose, NY, April 14, 2018 — Scott Process Equipment Corporation (www.Scott4U.com) is proud to announce that the MasoSine Certa pump will be featured at the 2018 NYSCC Suppliers’ Day on May 15th and 16th at the Javits Convention Center, NYC, Booth 1581. Tuesday, May 8, 2018 3:00 – 6:00 p.m. Since 1989, Scott Process Equipment has been the Engineering and Process Equipment Resource for the personal-care and cosmetics industry. Engineers first, with decades of experience, the sales team are honest, straight-forward and service-oriented professionals, representing premier pumps, mixers, homogenizers, powder blenders, sensors, controllers, scales, valves, filling systems, strainers, and heat transfer equipment manufacturers. 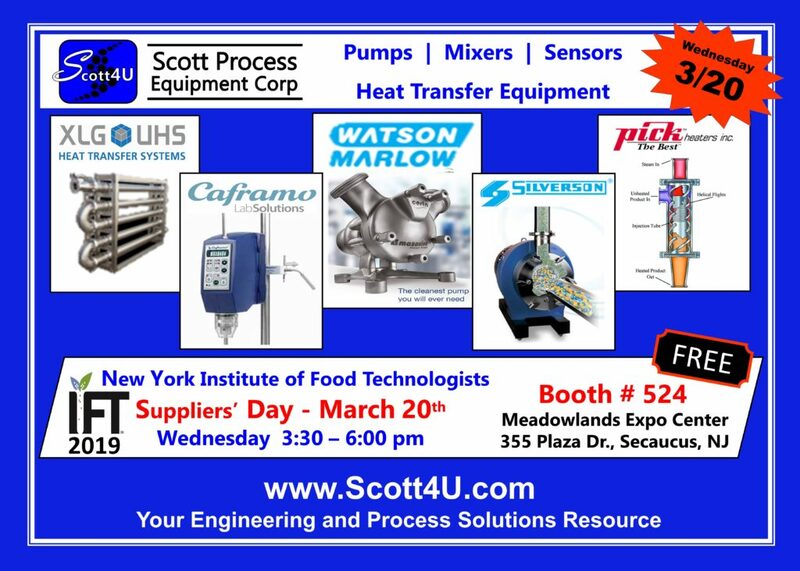 Scott4U is focused on finding the right process equipment or an integrated system for your unique application. Robust Line Card includes Bematek, Doyle & Roth, Dynisco. Hardy Process Solutions, Northern Pumps, Pick Heater, Readco, Roper Pumps, Sharpe Mixers, Silverson Machines, SPXFlow, Steridose, Sulzer Chemtech, Unibloc Pump, Watson-Marlow Fluid Technology Group, (Watson-Marlow Pumps, Watson-Marlow Tubing, Flexicon Liquid Filling, Bredel Hose Pumps, Masosin Process Pumps, Bio-Pure, ASEPCO, Flow Smart, and AFLEX Hose) and Zenith Pumps. 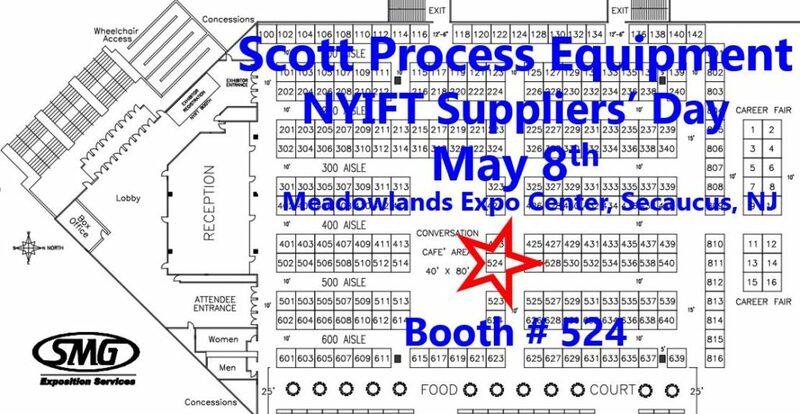 Scott Process Equipment serves northern New Jersey, the lower counties of New York and Connecticut, NYC and Long Island. Choose Scott4U for all your Personal Care & Cosmetics Industry Engineering and Process Equipment Needs.